Banner by Makwakwe--Click here or on banner to go to my Start/Personal Home Page! Fogdog Sports--Click here or on the banner for great Outdoor Gear and Sporting Goods! 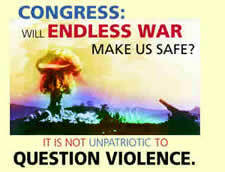 CLICK HERE TO GO TO SOME OF MY FAIRLY RECENT RESPONSES TO EVENTS FOLLOWING THE 9-11-01 TREACHERY! Hi there! In these pages I present some of my comments, and many of my poems, on issues of equal, human, civil, disability (ME/CFIDS/FMS), patient, transportation, parental, housing, tenant and liberty rights advocacy, for your consideration. I have finally added some better web design to my site, and categorized my writings by subject. Thank you for your patience and perseverance with this work in progress!!! You will find many of my poems are dedicated to my long-standing friends, and that I owe my poetic abilities to many mentors, both alive and deceased. My absolute favorite artist, author, poet, and painter is Hermann Hesse (1877-1962), the great German author who wrote such masterpieces as Siddhartha, Steppenwolf, Damien, Narcissus & Goldmund, and The Glass Bead Game for which he won a Nobel Prize in 1946. I've read most of his books available in English. My absolute favorite modern American painter is George Demont Otis (1879-1962), whose landscape paintings are very detailed and beautiful; and my favorite Impressionist painter is the incredible European artist and painter, Claude Monet (1840-1926)!!! I have a daughter, a living mother, and two living sisters who are both younger than myself. I survive an awesome older sister who passed away recently, and who is survived by two daughters. I am "a lamb in wolves clothing", and "a white sheep among many black sheep", as most people in the world are very dysfunctional! Click here to go to the International A.N.S.W.E.R. (Act Now to Stop War & End Racism) Coalition's Website! 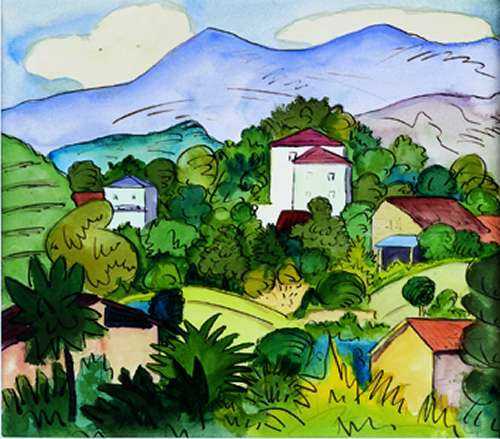 Click here to go to Hermann Hesse's books, more of his great watercolor paintings, and to learn more about him! 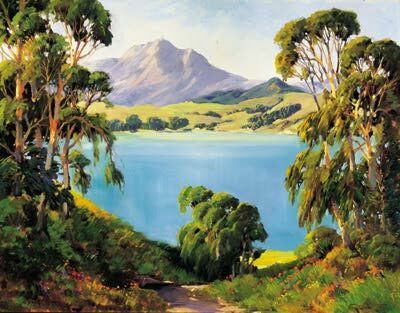 Click here for more of George Demont Otis' wonderful landscape paintings! 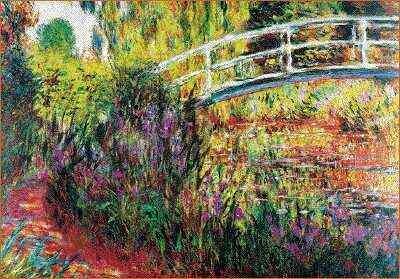 Click here for more of Claude Monet's other famous Impressionist paintings! In addition to my other interests, my hobbies include the outdoors, walking, hiking, backpacking, camping, swimming, soaking in natural hot springs, kayaking, cycling, snow skiing, and writing poetry. I'm a very eclectic music lover; and I love, in order, 1) Jazz, 2) Blues, 3) Soul, 4) Soft Rock, 5) some original "Hard Rock" like Led Zeppelin, 6) Country Music artists like the Highwaymen, Willie Nelson, Kris Kristofferson, Emmylou Harris, and the Judd's, and, last but not least, 7) Classical Music. My favorite musician and poet is Jackson Browne; my favorite color is green; and my astronomical "sign" is Aries, with Cancer-rising and the moon in Gemini; but I do NOT take it seriously!!! Like most of us, I probably have relatives all over the world. I relatively recently found out through some discovery of my kindred roots that the Britain's originated in Brittany, France, were expelled by the Hugonauts centuries ago, most moved to England, Anglocized the name, thereby explaining the many different spellings (in other words, all Britain's are related to eachother regardless of spelling), that when they immigrated to the U.S., most moved to the Carolinas, northern Georgia and Alabama, and that the Britain's are also related to all Gibson's, Craig's, and some Churchill's, etc. Genealogy is not a subject that I have gotten into much, but I would like to get into it a little more! I'm looking for someone to go 50/50 with me and move to either Ecuador, Costa Rica, Belize, Guatemala, or Mexico where we can make a very low income go much further with a lower cost, and higher standard, of living (than living in the States on such a low income). This includes an only income of Social Security Disability (SSDI) and/or Retirement benefits. The Social Security Administration most definitely DOES allow SSDI and/or Retirement benefits, but not Supplemental Security Income (SSI) benefits, to be sent to recipients in most other countries! There are many books about moving and living abroad available at the public library and/or at Amazon.com website!!! Naturally, I realize we would probably have to spend some time getting to know eachother, and finding out if we're compatible, before moving abroad together. We could even have our own separate "spaces" by choosing to rent or purchase a house or apartment with separate quarters, and still save considerable money in monthly costs compared to living in the States on the same income. If you might be interested, want to ask me some questions, and/or want to discuss it, please e-mail me at the address below, and I will get back to you asap! Disclaimer, Summary of Website Content and Intent, and Copyright Information: The purpose of this site is to seek to form legal rights, including but not necessarily limited to Equal, Human, Civil, Disability, Patient, Transportation, Parental, Housing, Tenant, and Liberty Rights, into a much more widespread reality in the United States and the World today; and the material on the site is presented in a form legal to the entire world community, except perhaps in highly tyrannous, autocratic, authoritarian, imperialistic, colonialistic, oppressive, repressive, and/or anti-democratic countries. There is not even one legal form available on this site because this site does not practice law or give legal advice, nor does it practice medicine, give medical advice or prescribe treatment(s) for medical diseases and/or illnesses, which you should obtain from licensed legal and/or medical professionals such as attorneys, paralegals, doctors, nurses, etc. All of the comments made on this site are the beliefs of Wolf Britain and millions of other people, but they are not necessarily the beliefs of the site's sponsors. Unless otherwise noted, all material on this website is copyrighted © 1998-2010 in the U.S.A. and Internationally by S. Wolf Britain. All rights are reserved; and nothing may be reprinted without permission! !